Visiting Ohiopyle State Park is a tradition that spans generations in my family...and I'm so happy to be able to keep the tradition alive. 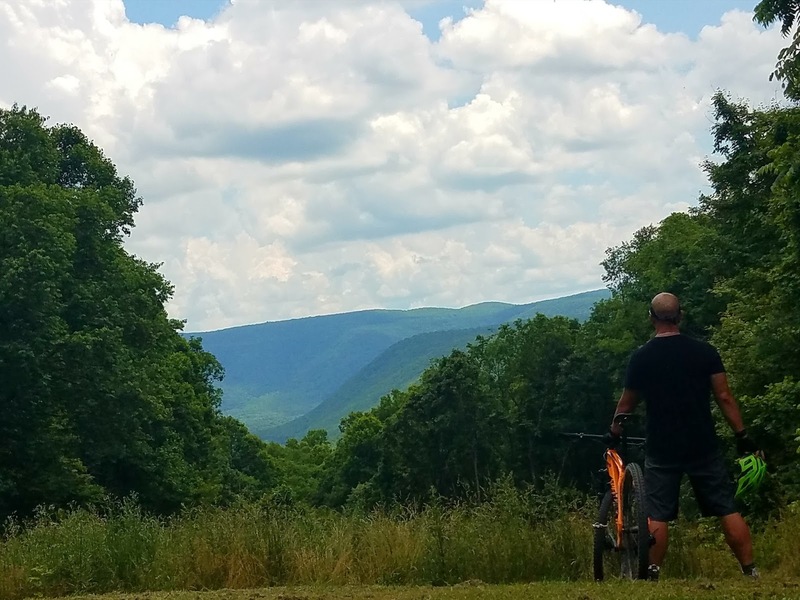 It's quite possibly one of the most beautiful State Parks in Pennsylvania. 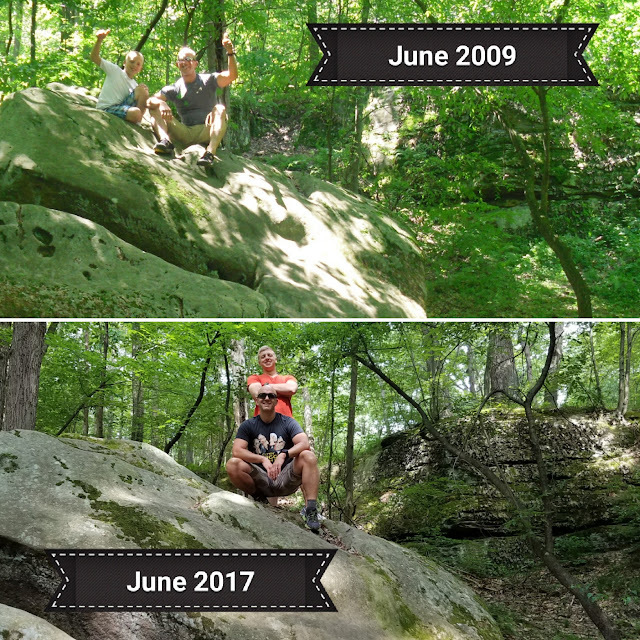 There's no doubt in my mind that it is probably the most unique of our State Parks. 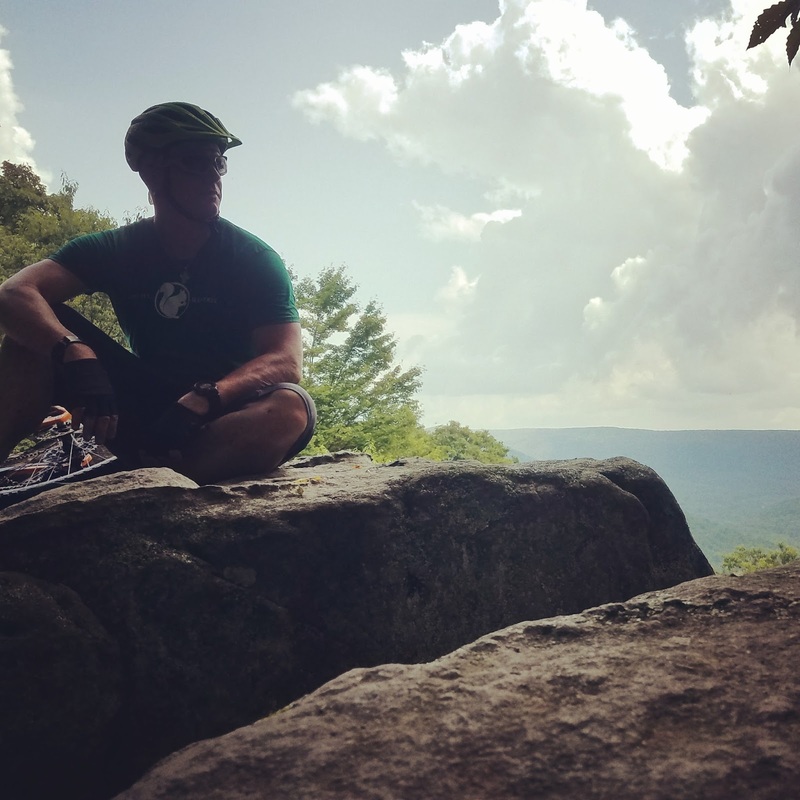 The beauty and uniqueness of Ohiopyle can be observed around every corner, between every rock, over every rapid, and on every trail. 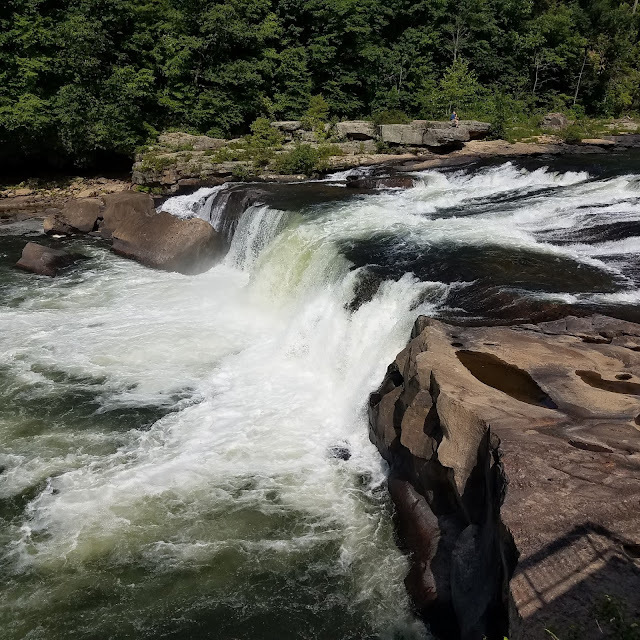 Thursday morning I was relaxing on the banks of the Youghiogheny River when I decided to stretch my legs, take a walk, and check out the visitor center located near the main falls which makes up the heart of the town. 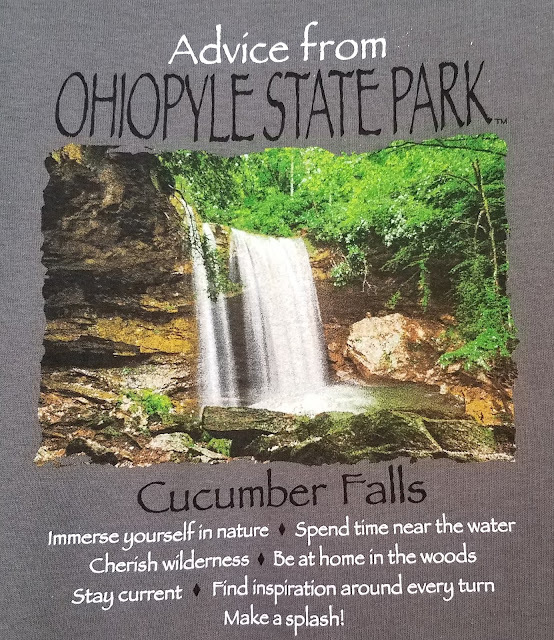 As I toured the visitor center my attention drifted towards a t-shirt with the words ADVICE FROM OHIOPYLE followed by seven short sentences meant to help you experience and appreciate your time in Ohiopyle. I think these seven sentences are relevant, not just for Ohiopyle, but anywhere you are on the planet. 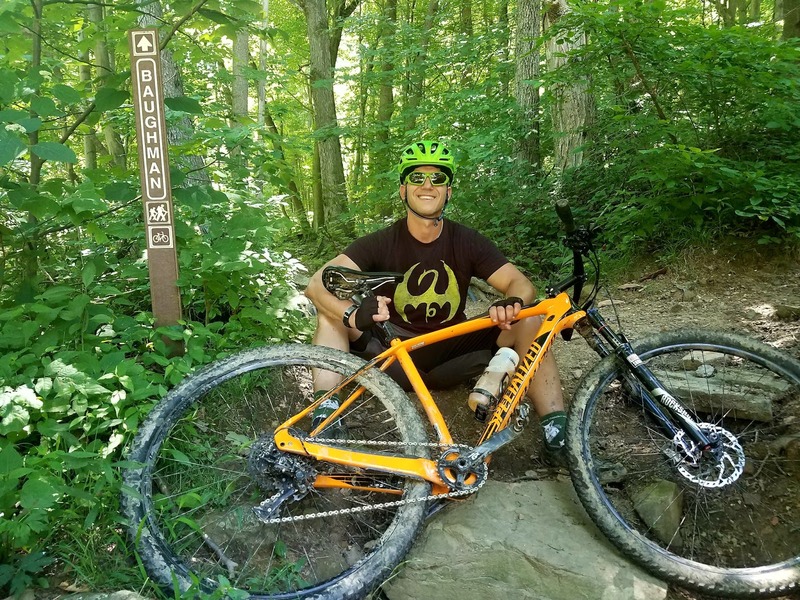 It's not hard to find nature in Ohiopyle, Pennsylvania. 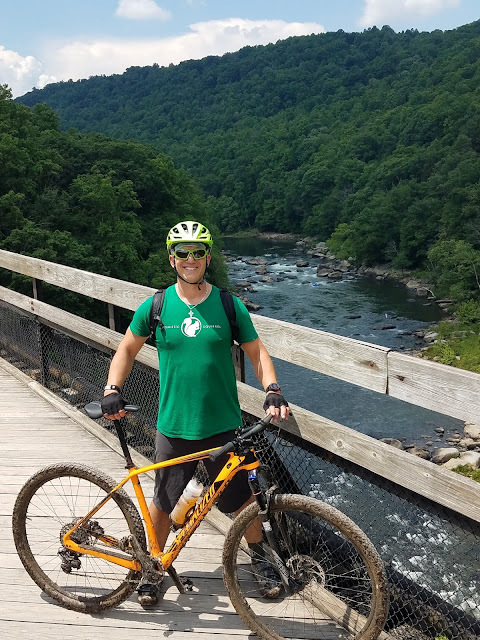 The state park contains more than 20,000 acres of rugged forest...with the Youghiogheny River running through the heart of the park. 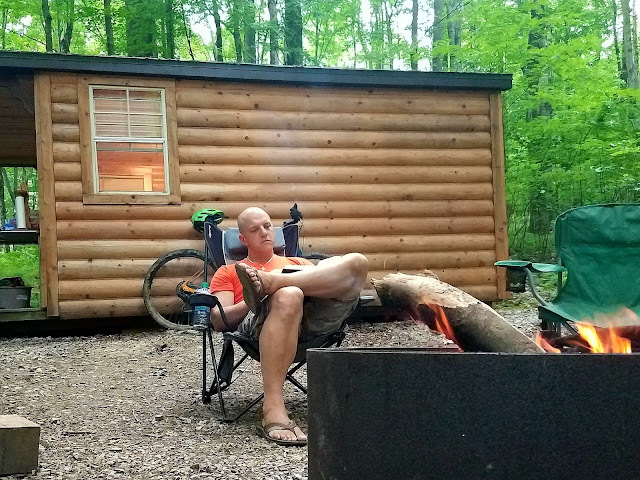 The most relaxing part of my week in Ohiopyle came on Thursday. After breakfast, I packed up my chair, a cooler, and a good book and headed to the falls area. Two complete (and uninterrupted) hours of reading with nothing but the sound of the Youghiogheny raging just feet away. You don't have to be on a mountain bike or a raft to enjoy and cherish the wilderness that makes up Ohiopyle. Midway through our week, I took a nerdy hiking trip with Alex and Devin. We trekked through an obscure part of the Fort Necessity National Battlefield (just a few miles from Ohiopyle) to see the spot of George Washington's first military encounter...Jumonville Glen. It's remote, beautiful, and seemingly untouched since young Mr. Washington was there! After years of sleeping in tents and on the ground...I now opt for a little more creature comforts. 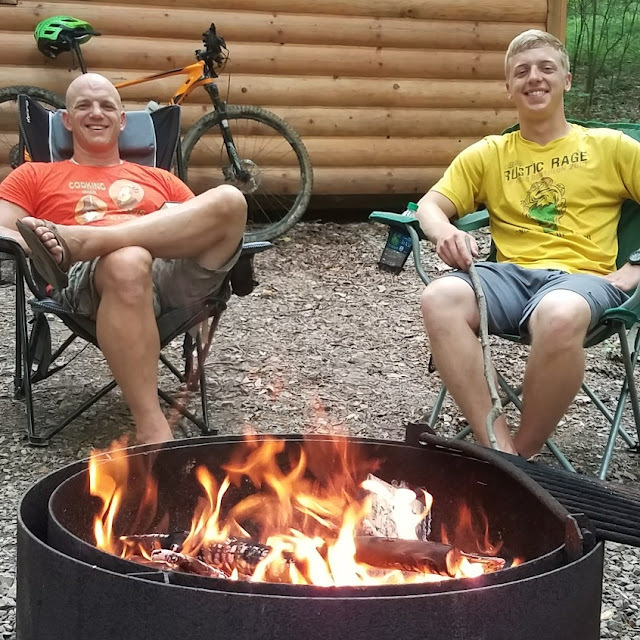 The mini-cabins in the Hickory loop of Kentuck Campgrounds are a perfect home away from home! I've never been one to want to ride "rail trail"...but the mind blowing beauty of the Great Allegheny Passage just took me completely by surprise. So much so that I had Alex bring his new Go Pro and drone down to the river gorge to get some amazing video. 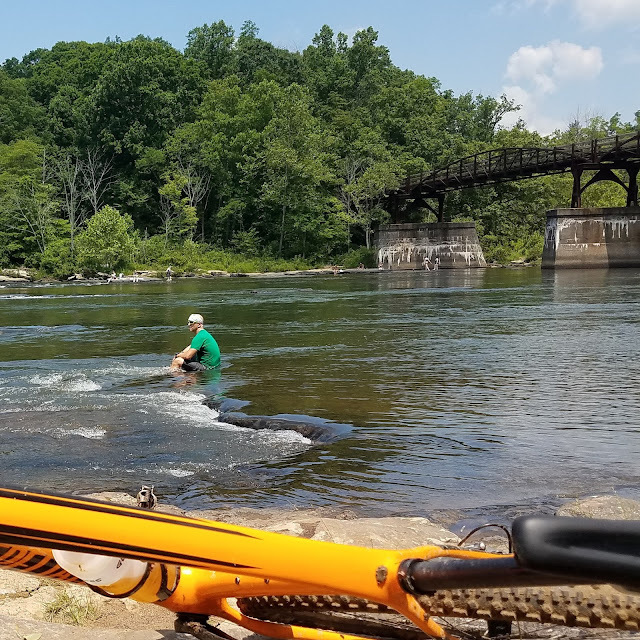 I will, no doubt, ride this rail trail again. Can't wait to bring my wife, Robin, here! Nothing says "finding inspiration around every turn" like a mountain bike trip down (and yes...up) Baughman Trail. 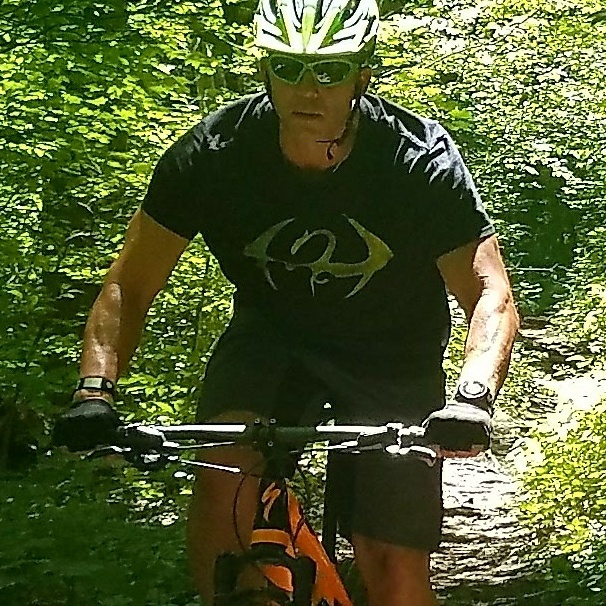 I was able to get out on the trails twice last week. Riding Sugarloaf and Baughman Trail on Tuesday...and then back to Baughman on Thursday. The same rocks that line the river in the valley below can be found lining the trails up above. It's impossible to go to Ohiopyle and not go white water rafting. I ALWAYS choose White Water Adventure to guide our trip. They are safe, reliable, and extremely friendly. 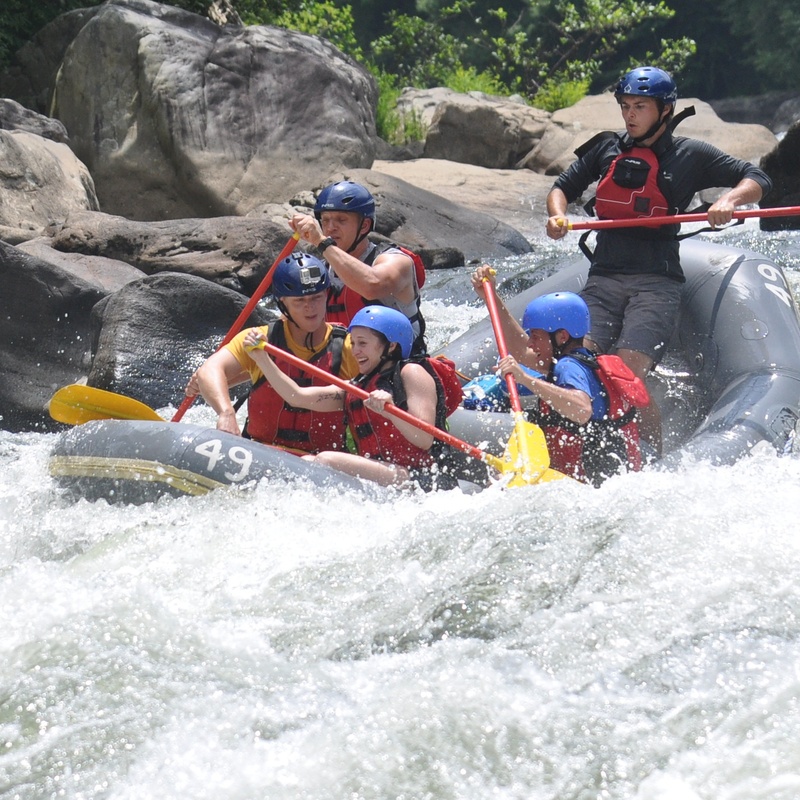 Our trip down the lower Yough was super fun because (being the middle of the work week) it only included two rafts. 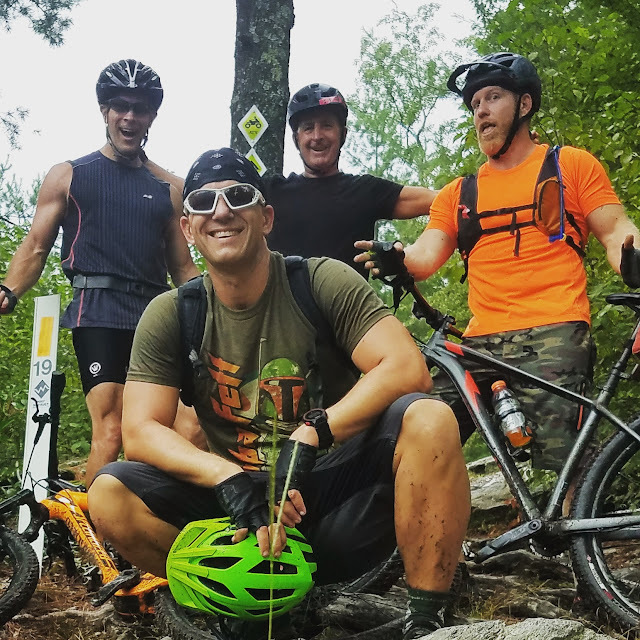 Our guide, Seth, was great to hang with...and it was awesome to have my step-daughter, Mia, join us for the ride! This amazing video of our week was created by my son Alex Raymond. Check out his work on YouTube. As I stated at the beginning of this post, these seven "observations" aren't my own creation. I really did get the inspiration from a t-shirt in hanging in the Ohiopyle Visitor Center. 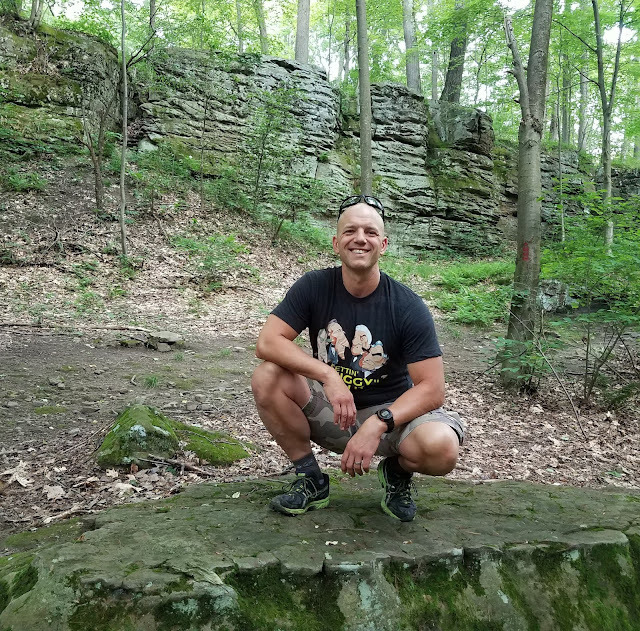 It doesn't matter what or who inspires you...it just matters that you are inspired to get out and enjoy the nature and beauty that surrounds all of us. I'm glad I saw the shirt. Be sure to check out HIGHPEAKSHIKING.COM! 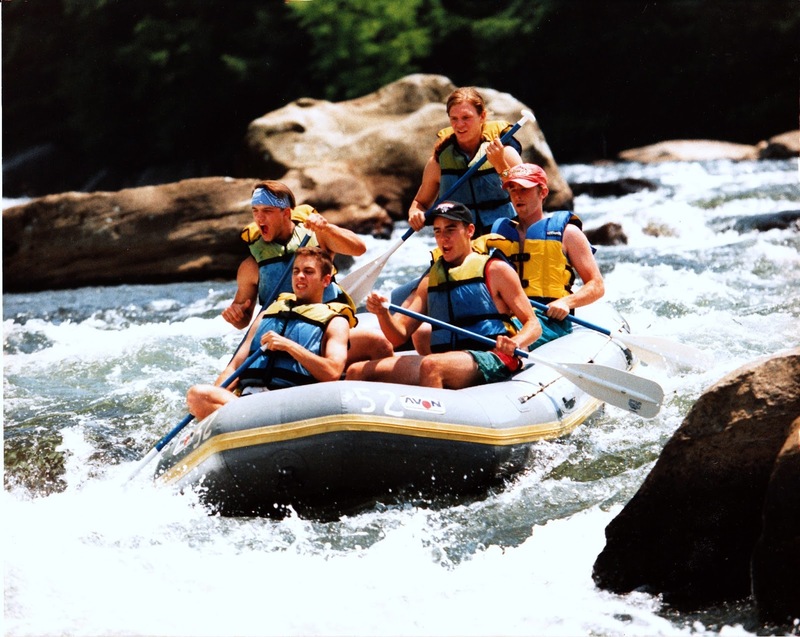 My first trip down the lower Yough with White Water Adventures. OMG...no helmets in 1995!